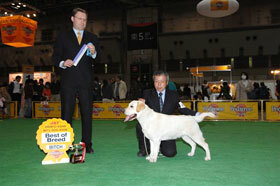 LABRADOR RETRIEVER SPECIALTY SHOW　賞歴 !!! 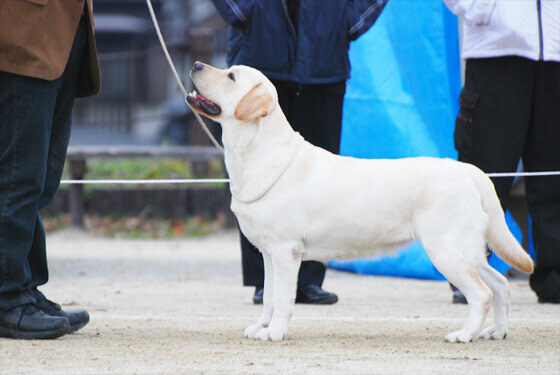 2013.6.9 JKC生駒LRC展 Entries75.Specialty Judge:Mr.Ian Ganney(Darrabol Labradors.England) BISS 受賞!!! 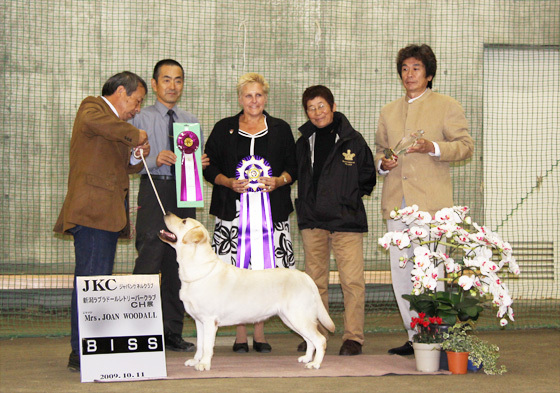 2012.11.3 JKC京都LRC展 Entries131.Specialty Judge:Mr.David Craig(Faulby Labradors.England) BISS 受賞!!! 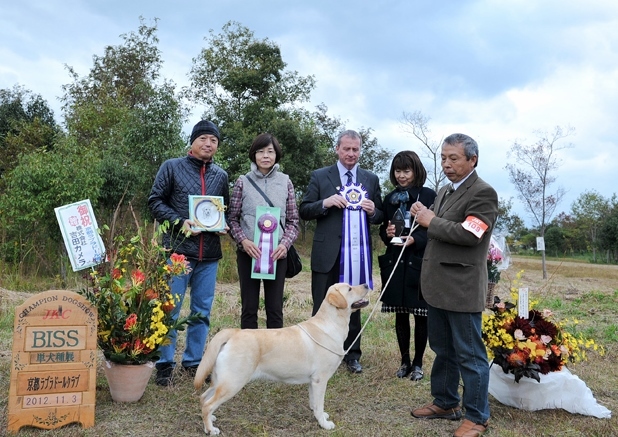 2012.4.22 JKC群馬LRC展Entries108.Specialty Judge:Mrs.Fiona Braddon(Trendlewood Labradors.England)EX 受賞! 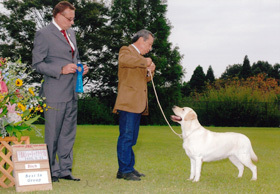 2011.11.23 JKC岐阜LRC展 Entries142.Specialty Judge:Mrs.Joy Venturi Rose(Leospring Labradors.England)RWB 受賞! 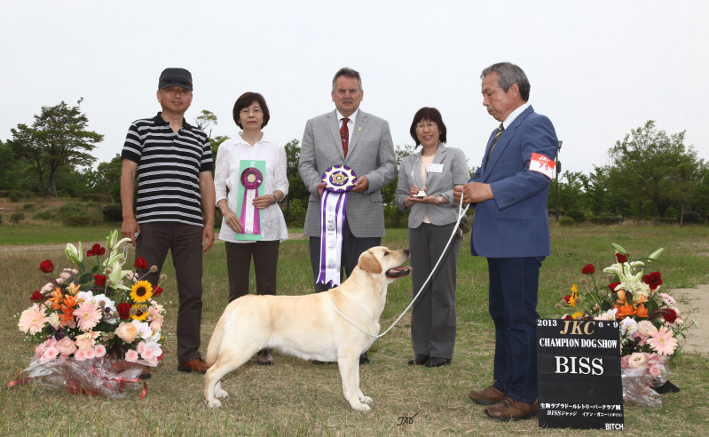 2010.5.9 JKC.FCI近畿International展 Entries69.Judge:Ms.Penny Carpenny(Carpenny Labradors.England)AOM受賞! 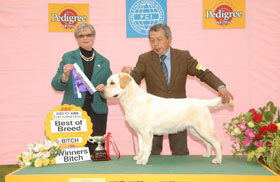 2009.11.29 JKC岐阜LRC展 Entries128.Judge:Mrs.Carole Coode(Warringah Labradors.England)AOM受賞! 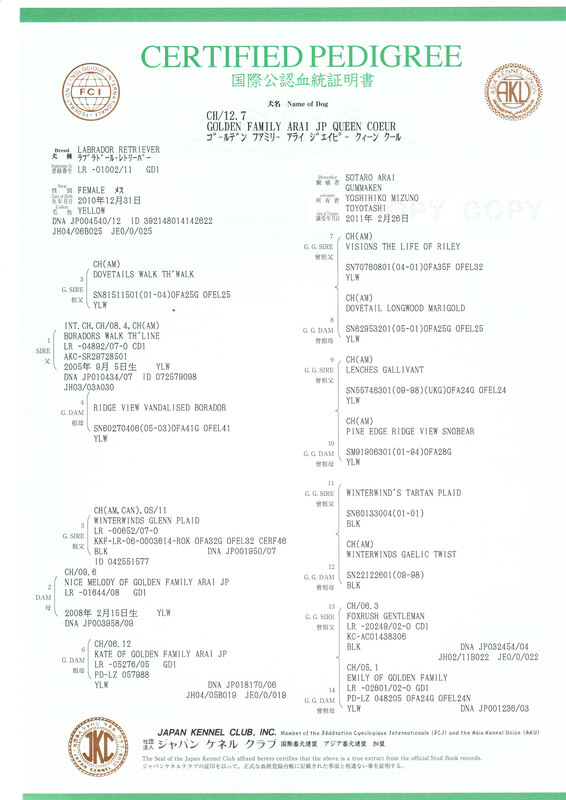 2009.10.11 JKC新潟LRC展 Entries82. 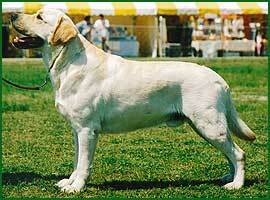 Judge:Mrs.Joan Woodall(Thirlmere Labradors.England)BISS受賞!!! 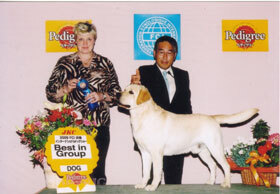 2007.11.3 JKC岐阜LRC展 Entries113.Judge:Mrs.Jackie Hodge(Naiken Labradors.England)AOM受賞! 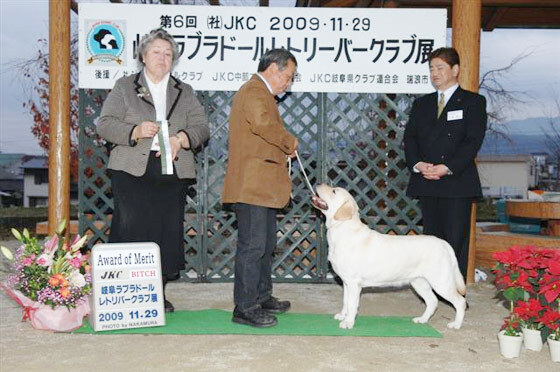 2007.11.24 JKC群馬LRC展 Entris120.Judge:Mrs.Marlane Hepper(Mardas Labradors.England)BOSS受賞!! 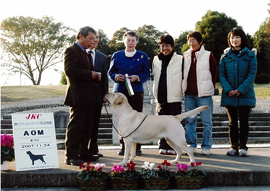 2005.11.13 JKC岐阜LRC展 Entries149.Judge:Mrs.Margaret Brown(Ramsayville Labradors.England)P.BISS受賞!!! 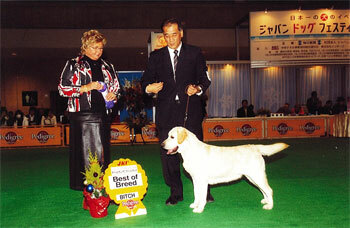 2007.11.24 JKC群馬LRC展 Entries120.Judge:Mrs.Marlane Hepper(Mardas Labradors.England)AOM受賞! 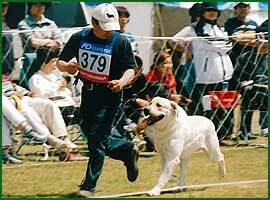 2007.5.13 JKC.FCI近畿Internationl展 Entries97.Judge:Mr.Guy Spagnolo(Driftway Labradors.Australia)AOM受賞! 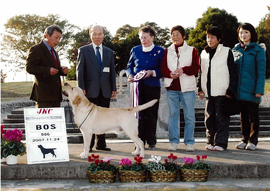 2006.11.12 JKC新潟LRC展 Entries98.Judge:Mrs.Anne Lavelle.Crosscroyde Labradors.England)AOM受賞! 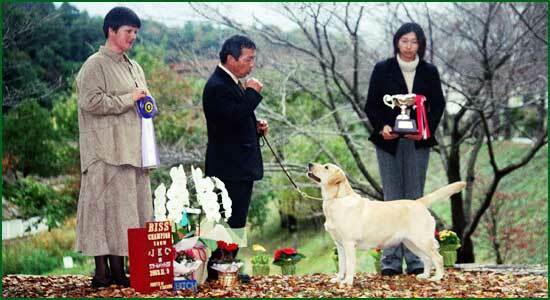 2003.11.9 JKC岐阜LRC展 Entries127.Specialty Judge:Miss:Mary Cox(Lenches Labradors.England)BISS受賞!!! 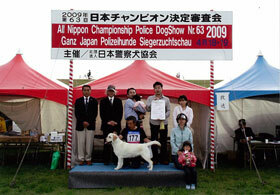 JKC.2009.5.10 FCI KINKI INTERNATIONAL SHOW(単独展システム) BOB & G1受賞!! 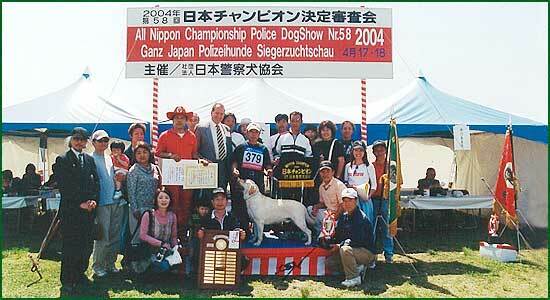 JKC.2008.3.29 FCI ASIAN INTERNATIONAL SHOW(単独展システム) BOB & G3受賞!! 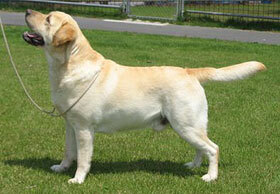 Copyright (C) 2003-2009 Arai-Dog-School. All Rights Reserved.